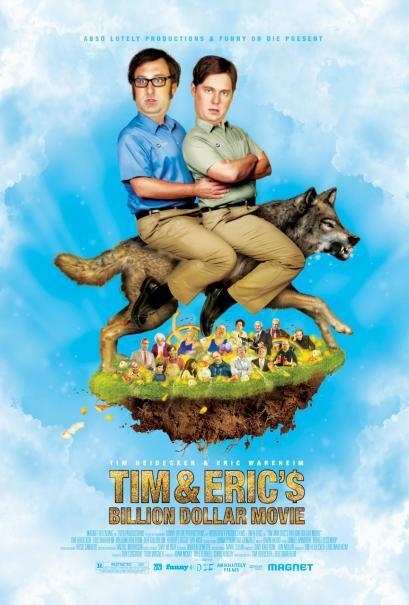 Since the Adam Ant show has been postponed until October, Cinedelphia recommends that you spend this Valentine’s Day (Tuesday, 2/14) with hometown heroes Tim and Eric who will be appearing in person at an advance screening of their new film, Tim & Eric’s Billion Dollar Movie, at the Ritz at the Bourse at 7:00 PM. If you’re a fan then you know what you’re in for, if you have no clue then watch the trailer below. The film will be available on VOD starting January 27 and will open in select area theaters on March 2. How I get tickets for this? You can try the box office, but according to the links on the Landmark site it’s already sold out. Does anybody know of anywhere I can find people interested in selling their tickets? I tried stub hub and ebay to no avail.